Handling a workers' compensation claim on your own ignores the complexities inherent in pursuing compensation from an insurance provider. 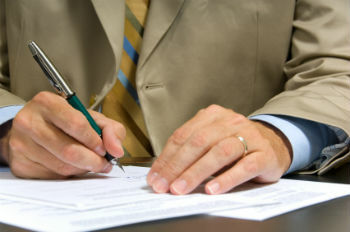 You need experienced and knowledgeable California lawyers at your side. Attorney Scot Shoemaker, the founder of Shoemaker Law Offices, brings nearly two decades of experience fighting for hard-working Northern California residents. He is one of a select few attorneys recognized as a workers' compensation certified specialist from the State Bar of California. Maintaining that certification requires him to take continuing legal education courses to stay on top of workers' compensation law. For more information about the background and qualifications of our attorneys, please follow the link below to review their profile or contact our Vallejo office at 707-552-1000 or our San Francisco office at (415) 463-5310 or e-mail us to schedule an appointment. The Shoemaker Law Offices serves clients throughout Northern California, the San Francisco Bay Area and North Bay, including Vallejo, Fairfield, Petaluma, Sonoma, Martinez, Napa, Benicia, Concord, Pittsburg, Antioch, American Canyon, Vacaville, Glen Ellen, Novato, Crockett, Rodeo, Hercules, Pinole, Solano County, Sonoma County, Napa County, Contra Costa County, and San Francisco County. How did our law firm do?